Asymmetric ventricles , with left ventricle smaller than right is seen occasionally. Most importantly this could be a normal fetus. Out of these diagnosing Co-arctation of Aorta and T.A.P.V.D. antenatally could have major implications in prognosis. The 4 chamber view is abnormal – LV is smaller than RV. The 3 vessel trachea view depicts great vessel disproportion. Pulmonary artery is bigger than aorta . 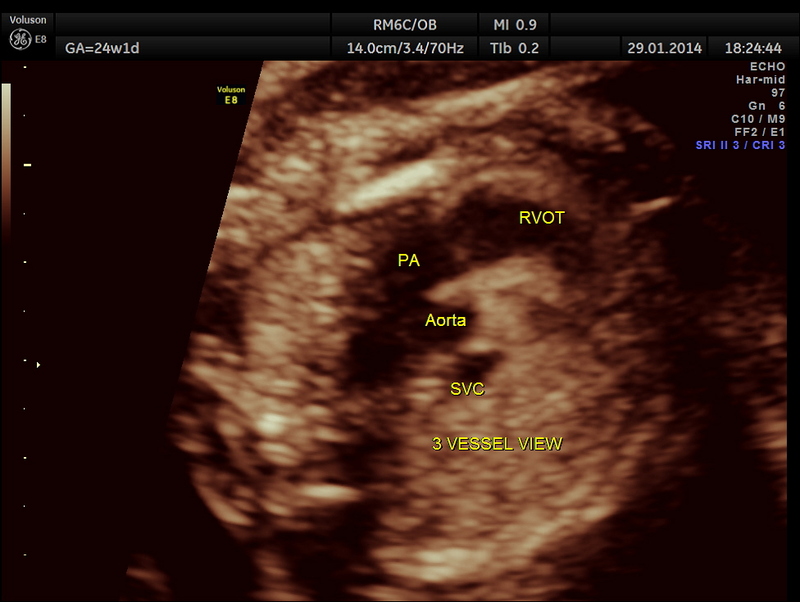 If a long segment of the aortic arch is narrowed , it is called as tubular hypoplasia. 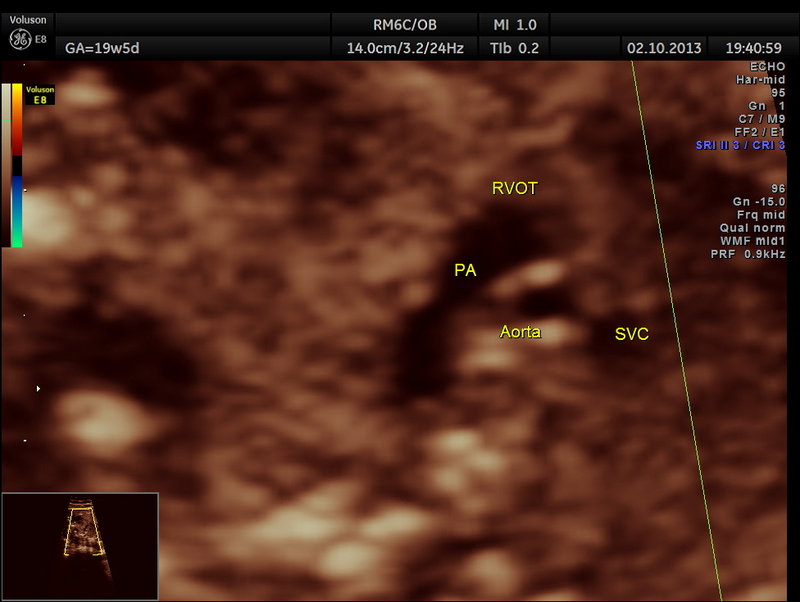 Associated cardiac anomalies can be seen – VSD , Bicuspid aortic valve , Aortic stenosis and Mitral stenosis. Persistent left superior vena cava is often associated . Extra cardiac anoamlies – berry aneurysm of the cerebral circulation. Chromosomal anaomalies especially Turner’s syndrome should be ruled out. 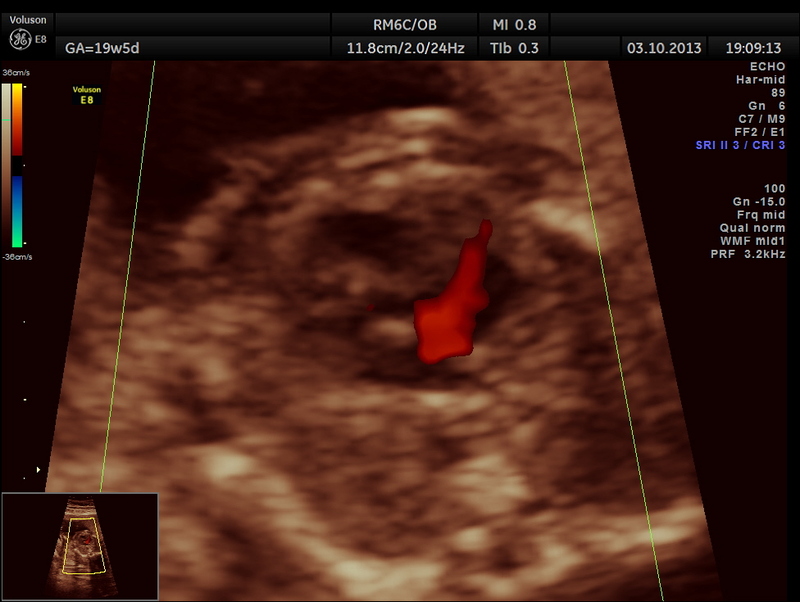 It is always prudent to give a diagnosis of probable Co-Arctation of Aorta . A case seen sometime back in our centre is presented below. The patient was lost for follow up and the outcome is not known . 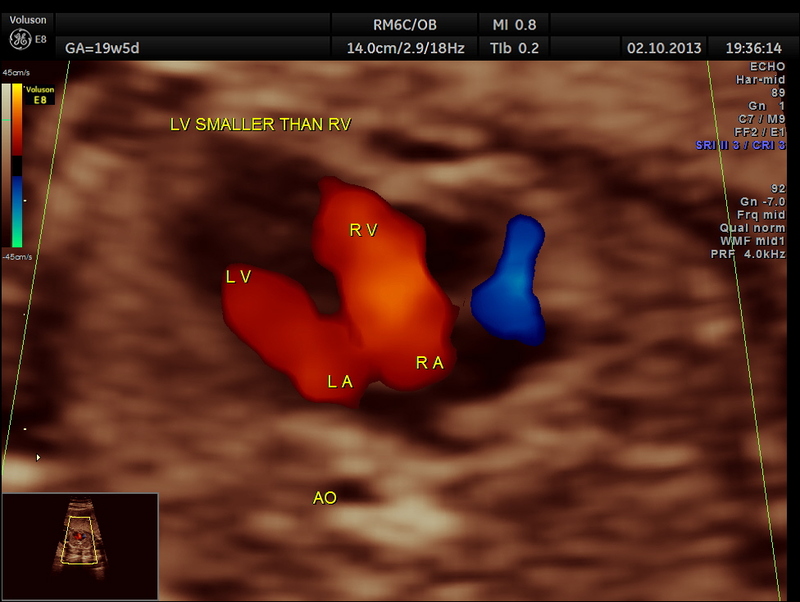 The following pictures show that the left ventricle appears smaller than the right ventricle. The situs is normal. 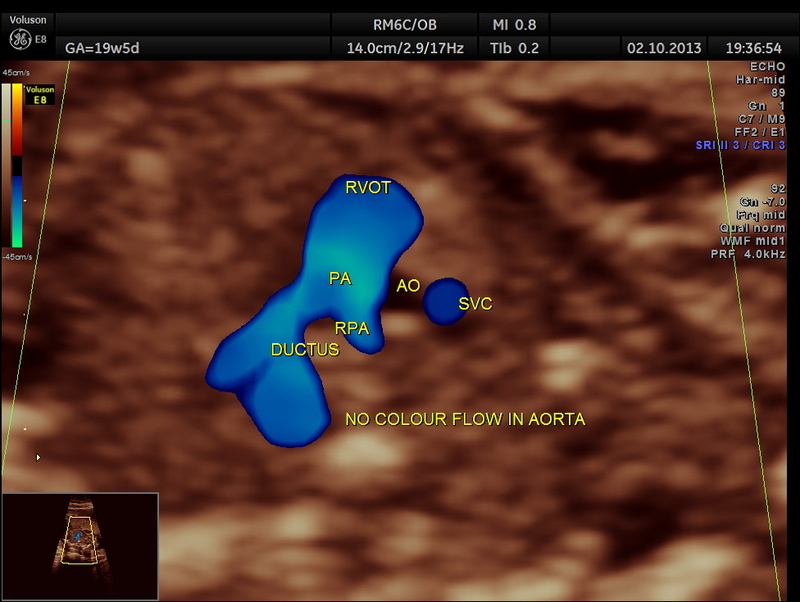 Colour flow also rules out the possibility of hypoplastic left heart syndrome. 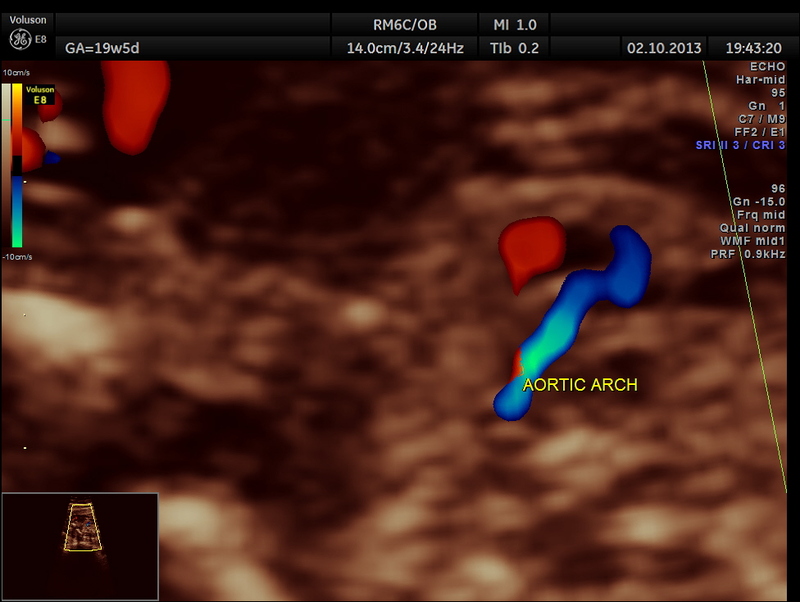 Aortic arch is progressively narrowed with the isthmus appearing very narrow. A flow reversal is also seen . 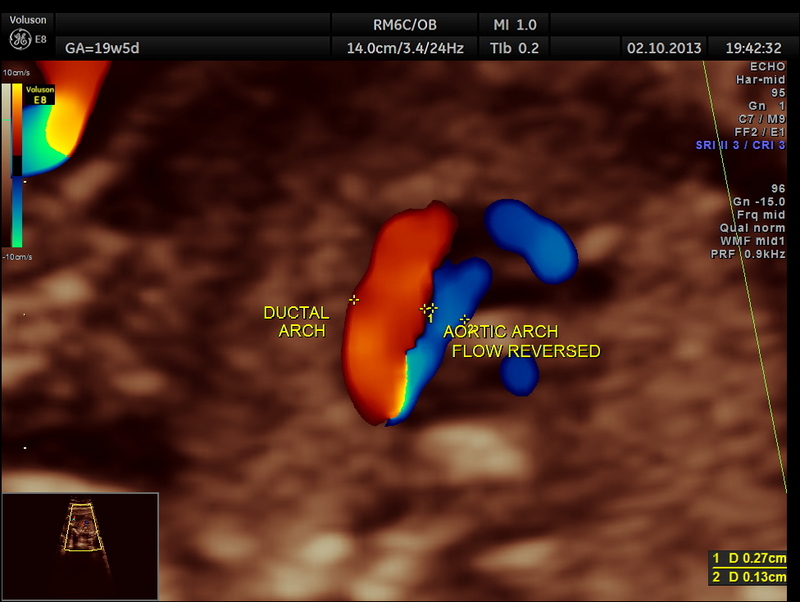 The following picture shows the reversal of flow in the foramen ovale , which according to some authors is a salient diagnostic feature of co-arctation of aorta. The diagnosis offered was PROBABLE CO-ARCTATION OF AORTA . But the patient was lost for follow up. A normal 3 vessel view and 4 chamber view are given below. I am expanding knowledge ..! Thanks. Incredible images. Thank you for posting. My granddaughter was born preemie 4 months ago. 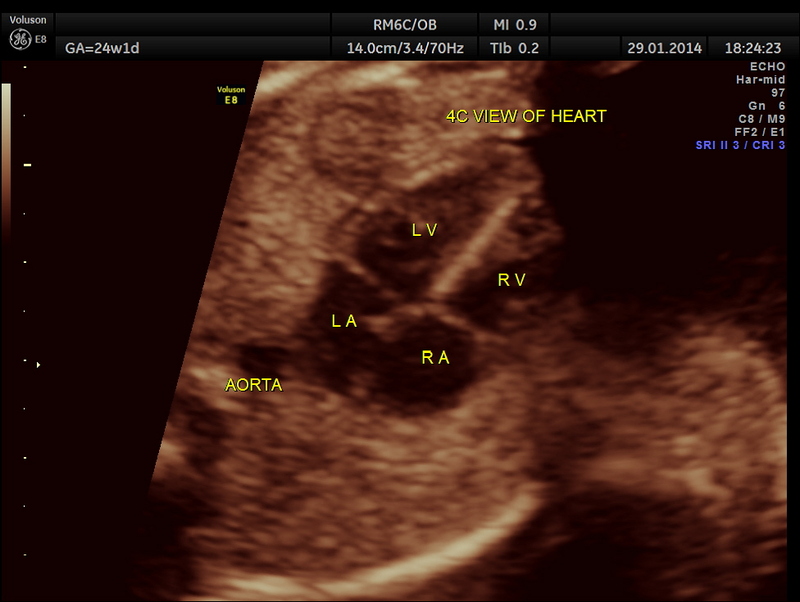 At 3 weeks she was diagnosed with severe coartation of the aorta and bicuspid mitral value. 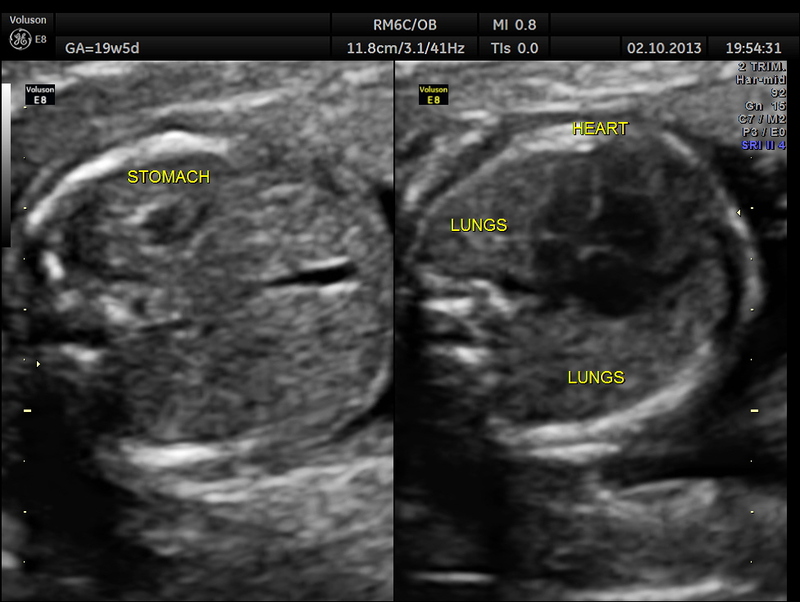 Fetal ultrasounds were all unremarkable. 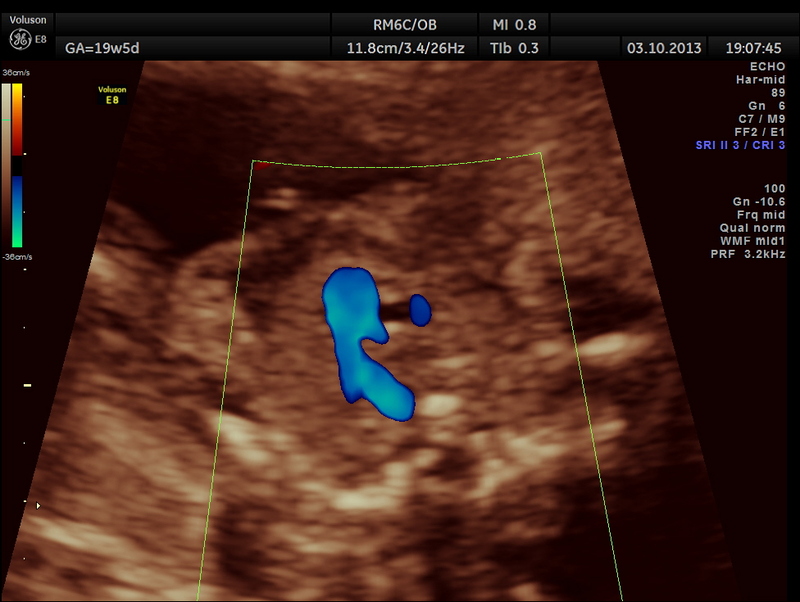 A detailed ultrasound scheduled when mom was sent to a high risk OB but was unable to complete the scan. Doctor admitted her to the hospital and had to induce at 33 weeks due to HELPP syndrome. Good news is mom and baby are doing great. Baby had end-to-end resection follow a month later by a balloon expansion. Now that things are stable I am looking forward to getting the med rec and seeing her images.